The Apex AP-1600T-USB-LS is a 3-CMOS prism-based R-G-B area scan camera intended for microscopy applications in the medical and life sciences markets. The multi-sensor prism technology provides better color fidelity and spatial precision than traditional Bayer color cameras, while the USB3 Vision interface offers excellent plug and play compatibility. The camera is built around the Pregius TM IMX273 1/2.9-inch sensor featuring 1456 x 1088 pixels and pixel sizes of 3.45 µm x 3.45 µm. A standard C-mount can be easily adapted to most types of digital microscopes or can be used with a variety of standard or telecentric lenses in larger systems. This 3 CMOS prism color camera with USB3 Vision have white housings designed for use in systems targeted at hospitals and clinical / laboratory environments where white enclosures are often preferred. The AP-1600T-USB LS is built around three Sony Pregius IMX273 sensors. 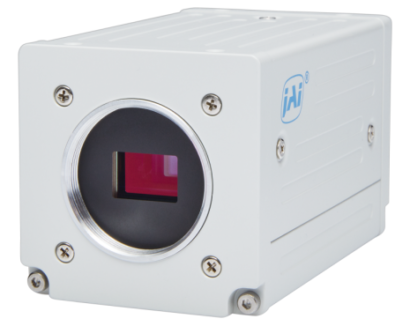 Combined with a USB3 Vision interface, this machine vision camera can output as much as 3 x 1.6 megapixels at 78.8 frames/second in full resolution. The AP-1600T-USB- LS is compatible with the widely-used ImagePro software from Media Cybernetics. Or if open source is preferred, device adapters are included at no cost in the latest release of the Micro-Manager software package.